WYOGA is the state association for 120 outfitter members and 45 voting guides members. We believe that outfitting is a business venture that depends upon access to wildland resources, including good hunting and fishing for success; and that those engaged in such business are obligated not only to promote the conservation and restoration of wildlands, fish, and wildlife, but to provide the public with high quality facilities and professional services so they may enjoy these resources. WYOGA produces an annual publication, the Wyoming Outdoors. Wyoming Outdoors is a 68 full color page publication and 75,000 copies are printed. 72,000 copies will be mailed out to the Non-resident hunters who have purchased Wyoming Game & Fish preference points in the past 12 months. The Non-resident hunters who buy preference points are dedicated, focused and the elite of the hunting community, and ALL 72,000 plan on visiting Wyoming in the near future for an outdoor adventure. 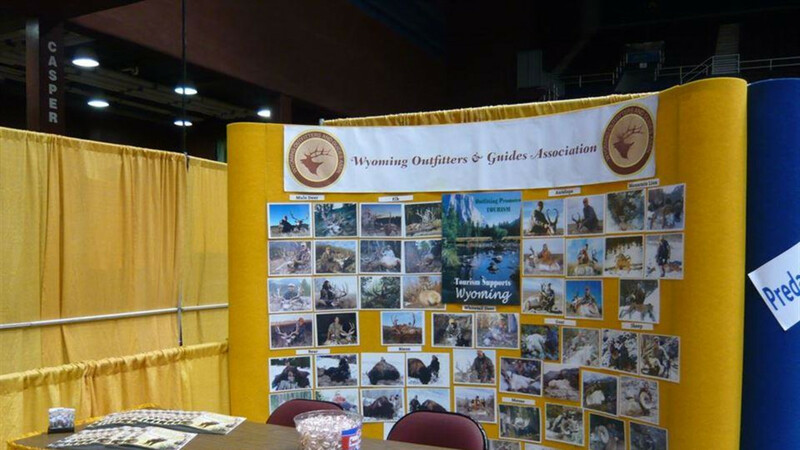 Wyoming Outdoors is geared to promoting travel and tourism within Wyoming to these outdoorsmen and features Wyoming businesses, outfitter members and articles highlighting the hunting experiences that Wyoming has to offer. Wyoming Outdoors is ALL Wyoming! We do all the work here in Wyoming and feature EVERYTHING hunting, fishing and outdoors in Wyoming. Our publication is dedicated to Wyoming, big game hunting, all summer and outdoor activities. Wyoming Outdoors IS what the name says, WYOMING OUTDOORS! Wyoming Outdoors publication is only Wyoming outfitter publication, serving the interests of the outdoor sportsmen across the nation. ALL new Yellow Page section that gets your business noticed in Wyoming Outdoors for an amazing advertising rate of $20! Yep! $20 gets your business noticed in 75,000 copies of our publication costing you less than a half a cent per copy! Separate sections for Summer and Winter activities. If your business is more focused on Summer activities like fishing, float trips, hosting family activities etc. an ad in our Summer section might be more appropriate. Same for the winter activities. For a media kit and additiona information on WYOGA, please visit our website at www.wyoga.org. You will be glad that you did!